Gary Muir is a science communicator, involved in science education and nature based science research, facilitating teams that incorporate nature based scientists. 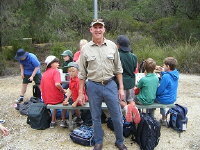 For the past 20 years he has been an EcoGuide for WOW Wilderness based in Walpole. He has personally interpreted the natural sciences to over 150,000 people, raising their awareness and understanding of the environment and their role within it. 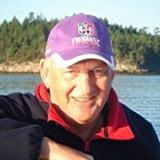 Gary first worked for ten years in environmental management with the Department of Conservation and Land Management and was involved in natural reprocessing. Since graduating he has secured a position with Mount Romance - the world's largest exporter of sandalwood oil - where he is responsible for the review and improvement of documentation relating to the manufacturing practises.